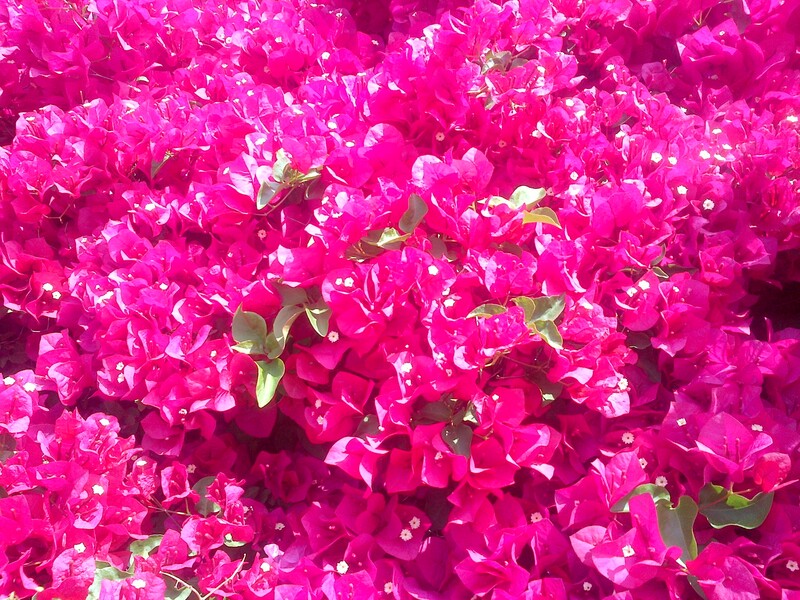 I defy anyone to spell “fuchsia bougainvillea” correctly without the help of this post or Google. I ran a 10K loop from my house and enjoyed every slow-but-steady minute of it. It’s hilly where I live and I consider the hill work (456 ft. gain over three major hills) good training. It’s nice to shake things up and substitute a little uphill and downhill running for the treadmill and the gentle elevation changes on my usual routes. It wasn’t speedy and it was a little clunky (see: left groin strain) but I covered the miles and made it home in time to have a PB&H sandwich on whole wheat and get in a shower before I had to make it to preschool pick-up. I’d call that darn successful. I haven’t run naked in a long time – even on the treadmill, I’m dependent on the pace and my TV!! Hope your groin is getting better!! I can’t even pronounce the name of the flower correctly! !